Hello guys welcome again, today am going to show you how to upgrade your mikrotik OS and routerboard to the latest version. Before you carry out this upgrade practice make sure that your router is connected to the internet. The first thing we will is to login to the router. Click on packagesand then you will see the list of all installed program on the router OS in a bold writing, the once in faded writing are the ones that are disable or not currently in use. All of the packages have something special they perform. 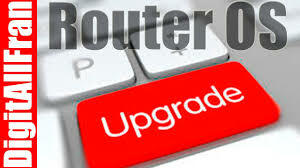 To upgrade the router OS click on check update and then you will see the available OS to upgrade to. On the right menu you will be provided with option to download or to download and install. If you choose download, the package will download but it will wait for the next time the router will reboot to install. But if you choose download and install the package will download, reboot and install immediately, usually it good for you to check for upgrade at interval periods, because some of the the upgrade contains security features. So with this, you have successfully upgraded your mikrotik router OS. And here you will see the model that you are currently running, model number, current firmware and upgrade firmware. On the right side click on upgrade, it will ask if you want to upgrade you will click ok.
Go back and click on system. And click on reboot and this will upgrade your mikrotik router board to the latest version. Thanks for staying with us on this tutorial and also like us on facebook. 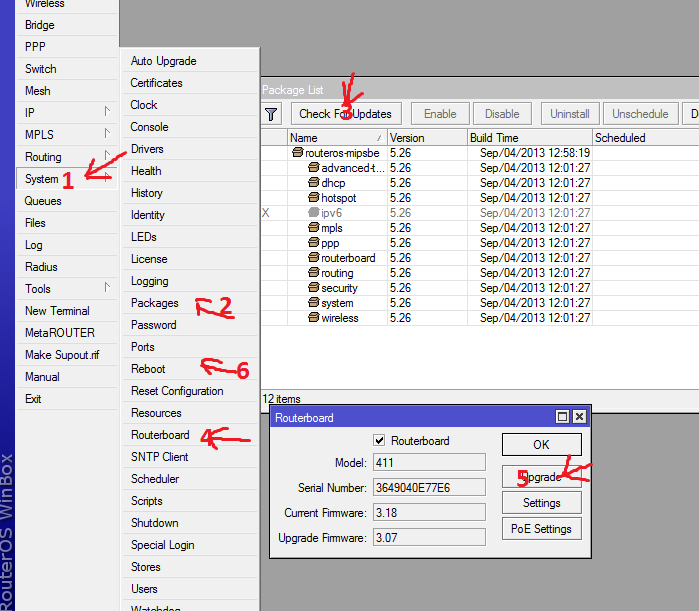 How To Repair Mikrotik RB Using Netinstal. How To Reset A mikrotik Router. ← Getting Started With Mikrotik Winbox.